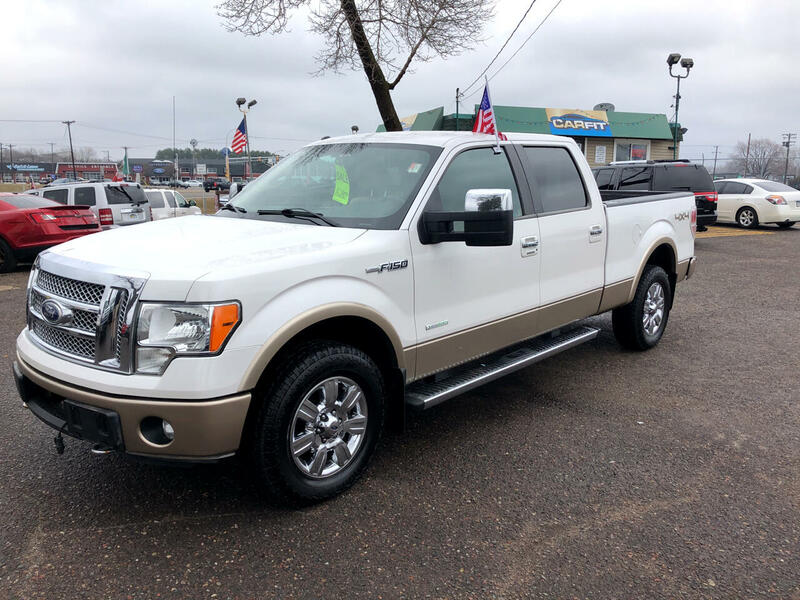 Used 2011 Ford F-150 4WD SuperCrew 150" Lariat for Sale in White Bear Lake MN 55110 CarFit! SUPER NICE TRUCK FOR THE MONEY.... DON'T SPEND YOUR MONEY ON THE BIG STORE PRICING. SAVE TIME AND MONEY BY COMING IN AND SEEING WHY WE ARE THE NUMBER ONE USED TRUCK SALES IN THE AREA. TO SCHEDULE A TEST DRIVE CALL RICH AT 763-274-9654. WE TAKE TRADES AND HAVE FINANCING AVAILABLE. FREE CARFAX ON EVERY VEHICLE.